It was a non-specific award, given to home computers in general, but looking back, it could be argued that the Commodore 64 deserved the accolade more than most; although TIME had no way of knowing it back then, the C64 went on to become the best-selling home computer ever, with about thirty million units sold. The machine's unprecedented success came as a result of a number of factors, including clever construction, aggressive marketing and of course, sheer luck. Commodore always had a habit of packing their machines full of custom hardware, which helped to give them an edge over their competitors back in the days when there was far more choice than just PC or Mac. In the case (literally!) of the C64, this clever custom hardware came in the form of advanced graphics chips and the now-legendary SID sound chip. Such advanced technology was, as it is today, expensive to produce, but as Commodore owned the company that produced their high-tech chips, production costs could be kept down, making the C64 far more advanced than its price point suggested. 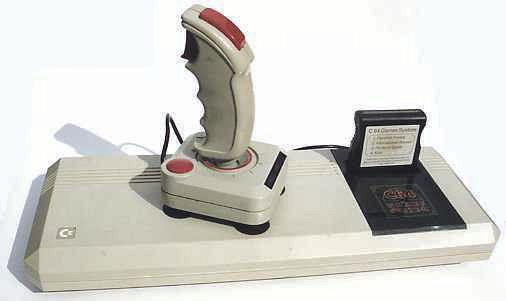 Commodore also took an aggressive approach to the marketing of their machine, selling it not only through specialist computer retailers, but in department stores, toy shops and other high profile areas where the average person on the street could walk in and buy one. The C64's ability to display via a normal home television set also helped it to gain an edge with average folk, few of whom owned, or wanted to buy, the dedicated monitor so many other computers demanded. So the C64 was cheap to produce, relatively cheap to buy, and technically advanced for its time and price point; in hindsight, it was no surprise at all that the machine was an instant hit, and it wasn't long before C64s were everywhere. With such a large user base, and all that advanced technology going to waste on spreadsheets and word processing, it wasn't long before games developers took notice, and it that was the first step on the C64's great journey from home computer to gaming legend. The first games were unimpressive, especially considering the gaming giant the machine would later become. 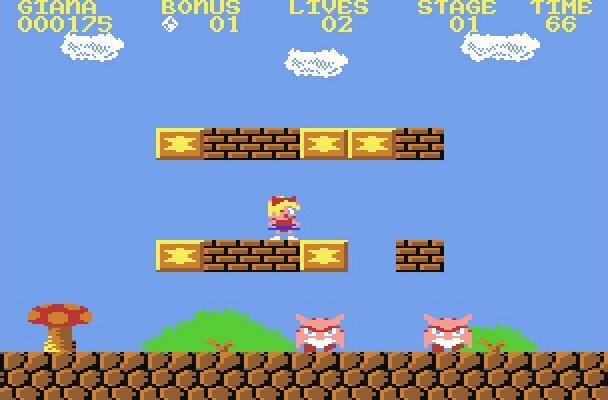 Commodore gamers saw many ports of titles from the brand new consoles of the time, some good, some not so good, but none truly pushing the C64's unique strengths. Things may have continued in that vein if it weren't for the great US gaming crash of 1983/84. 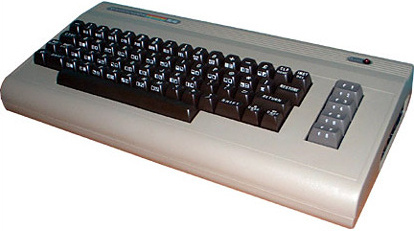 Some argue that Commodore itself helped the crash to happen, selling a machine that was in many ways superior to the consoles of the day, that could do more than the consoles could, and that was priced at a competitive rate; it is said that Commodore even offered console trade-ins against the sale of a new C64. Whatever Commodore's role in the crash, the result was that US business lost confidence in computer and video gaming, a situation that festered until Nintendo returned to American shores with the NES two years later. For the C64, the situation was not so dire, as it was, after all, a home computer capable of doing much more than playing games, but with the games developers shaken and wary, the machine's days as a gaming platform may have been numbered. The console crash didn't cross the Atlantic, however, where the new home computers had already gained a foothold and dominated the gaming market, thanks to low price machines like the Sinclair ZX Spectrum and, of course, the Commodore 64. 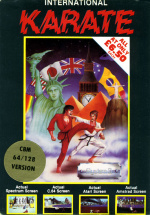 Taking advantage of the gap in games production created by the US crash, as well as the low costs of development and distribution (while the C64 could run software from floppy disk or even cartridge, the main storage medium was the humble audio cassette), European bedroom programmers and smaller developers took control. While US companies continued to develop and publish games (Epyx, home of Impossible Mission and California Games, is a notable example), European developers began to dominate C64 gaming, a situation that lasted throughout the rest of the machine's life. The C64GS - only marginally better than a kick in the teeth! 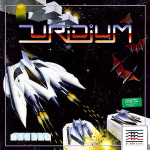 It was in this market that groups like Thalamus (Creatures), Rainbow Arts (Turrican, Katakis) and System 3 (The Last Ninja trilogy), and individuals like Jeff Minter (Attack of the Mutant Camels, Sheep in Space) and Andrew Braybrook (Paradroid, Uridium) were able to push the C64 hardware to its limits, wringing out every last bit of power from the machine. Eight years after the C64's release, Commodore fans saw games like the Creatures series prove that there was still great potential in the system, even as the 16-bit computers began to dominate, and the consoles were returning from their long exile. The hardware itself received a minor revision in 1986, in which the technology inside was tidied up and, in some cases, tweaked, and the casing underwent a redesign to bring it more in line with Commodore's Amiga line of 16-bit machines. Commodore created the first truly portable personal computer in 1984 with a version of the machine called the SX-64, and the company even attempted to take on the burgeoning console market in 1990 with the Commodore 64 Games System. The C64GS was a basic C64 stripped of its keyboard and tape and disk inputs, relying instead on the underused cartridge port. However, by then the technology was already eight years old, and when competing directly with the new Sega and Nintendo machines, Commodore should have been adding more features, not taking them away. 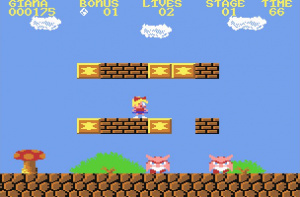 The cartridge format was not properly utilised either, and the few games released for the system were ports of regular tape based C64 games with a much higher price tag. Unsurprisingly, the system failed. Roughly twenty thousand games later, after a long life in which it fought off the US gaming crash, and emerged triumphant from a bitter war of attrition with its European rival, the Spectrum, the Commodore 64 was never officially discontinued. The company planned to eventually retire the venerable machine in 1995; to put that into context, and show the long-lived resilience of the C64, that was the launch year for some minor system called the PlayStation! However, the mighty "breadbox" proved to outlive even its own company, as Commodore folded in 1994. The C64 continues to live on; the flexible and advanced hardware continues to hold a fascination for enthusiasts, particularly in the demo scene, and that revolutionary sound chip, the SID, has proven to be particularly resilient, finding its way into the modern recording studio as a gizmo called the SIDstation, as used by artists like Timbaland and Machinae Supremacy. Best of all, the Commodore 64 as a gaming machine has returned in the form of the C64 Direct-to-TV plug-and-play system, as well as, of course, the announcement of the C64's induction into that prestigious modern Hall of Fame of gaming, the Wii Virtual Console. In Europe at least, but there's something fitting about that. Very nice article. I hope the C64 comes to the states as well! Is this your first article on vc-reviews? great article, but what about all the great ssi gold box tie ins, they linked up with dungeons and dragons and forgotten realms at a time when no one else was even thinking about book tie ins. those gold box editions of pool of radiance, curse of the azure bonds and the like siezed a generation of d & d readers into the gaming world forever. Neuzd, it's my first hardware focus, but I've done a couple of articles before. Gald you liked this one. The C64 was surprisingly good at 3D, I'd add Mercenary to your list, and I'd love to see any of them on VC. Tnk4god, those are all excellent games, but I'm not sure where they'd fit in this article, which is more to do with the machine itself. If I ever do a piece on classic C64 games, I'll definitely be adding some of those, as well as Wasteland. The C64 was a great machine in retrospect. I was a die-hard ZX Spectrum fan back in the days, but even I had to sometimes concede my best mate Tristan's C64 was superior due to the ability to handle more than two colours on screen without everything turning into a horrible mess! I was always sad that the Speccy never got The Last Ninja. That was the one I was most jealous of at the time! I'm actually looking foward to C64 games more than MS/GG games. 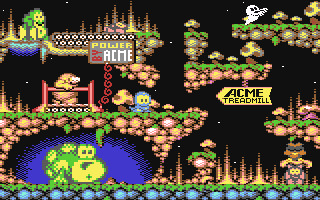 I remember having plenty of fun on my mates C64. I was talking about the selling points to the c64, I shelled out $250 for my c64 just fort hose games, they were something that was unique to the c64 that you could not get anywhere else. It brought rpgs to the mass in a marketing way (ssi) that made this machine relevant to a new and diverse audiance. That was my point. I think this had alot to do with the longevity that you spoke about. It did in it's time what the wii does today, hits a group of people that were not known for investing in computer screens, when they had the turn based games in real life. Yes, I did think that as I was writing this actually. Commodore's approach to the C64 reminds me of the Wii in some ways. That sense of reaching to a new and different audience. I know what you mean about the SSI games, but I'm pretty sure that most of them were available on the Apple II also. The C64 was a better purchase though. The thing is, when you write these things, there's always stuff you missed. Maybe I'll go back and add in the stuff about the D&D games, but with all respect to yourself, I don't know how much of a killer app they really were. I hope the C64 reaches our shores in the US although it does stink that they are all being priced at 500 points when it seems like most of the games don't deserve such a high price point. Reading this article made me feel like traveling back in time to witness the dawn of a new era. Glad you never missed mentioning about the c64dtv Plug'n'play as i do own one . Petty the controls break down so easily as it's my chance of looking back at what my father used to play . Now i'm looking forward the the c64 arrival on Virtual Console . Long Live the commodore 64 . This has to come to the states! It just has ta'! The C64 was my first computer/gaming-system, and will always be my true love. So I would love to see many of the games released on VC, so people that might not have experienced the many classics can do so on their Wii. Last Ninja, Pirates, Turrican, Elite, Bombuzal, Defender of the Crown, Boulder Dash, International Karate etc. etc. But it is great that millions of Wii owners soon can check out some classic piece's of gaming history! Thanks everyone. It was a fun article to write! Tides of Chaos, with 20, 000 games, most of them won't be worth 500pts, no, but the hope is that we'll see the best of the C64 on the VC, and those games are definitely worth the price. C64 sounds like a great addition to the Virtual Console. As long as the great C64 games come up avalable i'll be a happy lil retro gamer. Will, it was Commodore Format that gave Mayhem in Monsterland the full 100%, but at least they had the decency to have a second opinion from another of their reviewers, who said the 100% was invalid but still gave it 95%! Mayhem is a great game, but as far as single screenshots go, Creatures II looks a bit better, so I chose that one. Both of them are well worth the 500pts though. Japan gets MSX, we get Commodore 64 so you Americans are hopefully gonna get something for yourself. BRING ON MONTY ON THE RUN!!!! @Kelvin, ah Commodore Format, sorry but it has been a while!! close enough Still, its the only time iv ever seen a magazine which rates exclusively in percentage award a game 100% and that as you can see has had a lasting effect. Its pretty impressive in my book, even if it was unwarranted, the game was bugged if you remember (you couldnt get more then 10 lives or your meter would return to zero. You knew that already, someone else here may not) and hey, 95% is still a pretty flippin essential! I don't think my memory of that 95% second opinion score is strictly accurate either! Yes, it's the only time I've seen a 100% score too, and while over the top, is still indicative of how good Mayhem was. Yeah, Will, the music in Mayhem was / is rad. I remember leaving the intro music for the sad / happy versions of each land playing for ages (well, until the happy one ran out). The gloomy, brooding sweep of the former is especially great - so simple, yet so effective! Awww, sod it, I'm going to listen to it in SIDPLAY while I work. See what you've done? My co-workers are going to throttle me. Well apart from the Creatures games and a couple more titles I have no interest for this console but some of the music made on it is awesome. The Commodore didn't /survive/ the US gaming crash, it caused it!!! You see, the market was already in recession due to an overabundance of crappy product on the market. Retailers couldn't move the stuff to save their lives. Meanwhile, Jack Tramiel was having yet another price war with Texas Instruments. Except this time he brought the C64 smashing through the $199 barrier, right into the price range of a game console! Well, I did cover some of that (including the console trade-in offer) up in the fifth and sixth paragraphs, albeit in less detail regarding Tramiel and the Atari/Commodore relationship. Of course wether they would successfully load when you got them home was a bit of a sore point. Prices varied. On cassette, budget titles were usually £2.99 (with some at £1.99, and some at 99p!) and full price games were about £9.99. Disk games were about £15 as I recall, and cartridges were about £25, but I never bought one, so I don't know for sure. Assuming those are 1990 prices, and taking into account inflation, that's roughly £4.90 in today's money for a budget game, and £16.37 for a full price title. So based on that, the C64 Virtual Console costs are pretty good! And Werewolves of London was a great game. I didn't know it had come out on the Speccy too. I knew it on the Amstrad, and it was the only game worth going over to my mate's house to play on his 464! I have a few of the orginal tapes.. so the stuff i have missed i will love to download.. There's some games I want to see on Virtual Console just because of their name is out there - Rock Star Ate My Hamster for one. And do you think they should release package deals? Two C64 games of the same series bundled together as one download but seperate channels? Not all C64 games are worth 500 points and Commodore Gaming should know this. Not all NES/MD/SNES/N64 games are worth more than 500pts either. There's a lot that went into the game industry crash of the 80's. Saying that the Commodore caused it is giving it a lot of credit. Don't forget about the financial collapse of Atari after over producing millions of copies of ET The Game. Also, at the time people were becoming discouraged from throwing their money at Intellivision and Voyager consoles that would be systematically updated and reproduced every six months or one year or so. But I wouldn't say the Commodore helped, thats fo sure. well I hope we get the Commodore 64. Well i guess if we get something else besides C64 then it will be alright. Well just think maybe Sega CD, or Sega Saturn! Probably wont happen but if they reveil the memory solution at E3 you never know maybe we will get sega CD or Sega Saturn. Considering the exclusive consoles for each region are actually computers, I think america should there own exclusive computer console as well. Wasnt the apple II succesful in america? Is Commodore Gaming the only publisher to release C64 games on the Virtual Console or can Konami, Capcom and the likes release their own C64 games? I don't think 500 points is too bad value for money as I'd say a C64 game compares favourably to a NES one. Early games on both platforms can be a bit simplistic (albiet often enjoyable). I'm slightly concerned with the quality of the emulation as it doesn't seem quite as good as the real machine itself. As for the Commodore Gaming banner, I'm not sure if that's just a company who has bought the rights to lots of C64 software retrospectively. Commodore themselves stopped producing C64 software in the early 1980s. The games released so far are from several different companies, alas none of which are with us any longer. I'm assuming "Commodore Gaming" must have acquired the back catalogue of several companies, hence the glut of Epyx and Hewson games originally. Personally I'd really like to see Creatures, Delta, Turrican 2, and Wizball get released on VC as they're great! Werewolves of London also has a charm too, I actually dug out my old disk and had a go of that the other night. Eating your family members is still as rewarding as ever!